Reflections are one of my very favorite ways to portray a subject. Opportunities are everywhere, from the smallest puddle to the open sea. 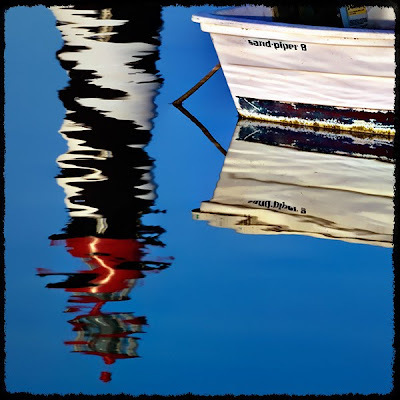 This reflection photo was taken in St. Augustine, Florida. The lighthouse is beautiful and is much photographed. I liked creating a rendition that might be a little different than what's expected. The slightest breeze can alter the outcome. The patterns change from mirror perfect, to painterly all within a few minutes. The results are always serendipitous and random, which makes photographing reflections so interesting to me.